Our foie gras, terrines and pâtés are mainly made using French meat, and they come in many different varieties to suit all occasions. Don’t miss this choicest of meat options! 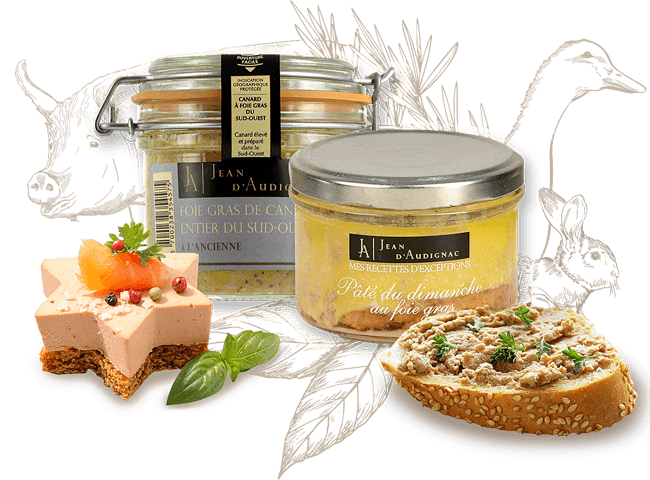 Jean d’Audignac has everything you need, made using French expertise married with the delicate taste of mainly French poultry. Our whole duck foie gras comes from south-western France and has Protected Geographical Indication status. From traditional products to flavoured specialities, our foie gras has no equal!